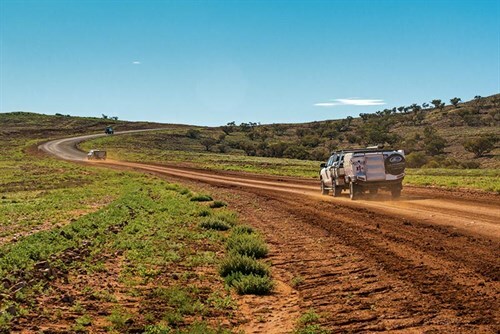 Catch up with Roothy, Kenno, Milo and all their mates as they take you on an outback journey through the Flinders Ranges, SA, to find the homestead where Roothy grew up. After toughing it out through Willow Springs, riding camels which give a "far better ride than Milo" (according to Roothy), and watching more than one impressive Flinders' sunrise, the crew makes it to Mt Serle - and it's an emotional homecoming for tough ol' Roothy. But that's not the only reason to get your hands on this issue of CTA - check out what else we've got for you! 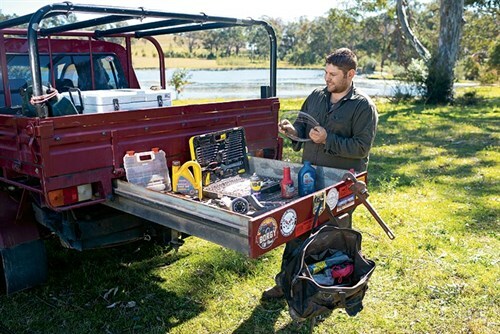 Also in this issue of Camper Trailer Australia, we bring you Borgy's Ultimate Do It Yourself Bush Mechanic's Kit - discover all the gear you need to get you out of trouble on the tracks! 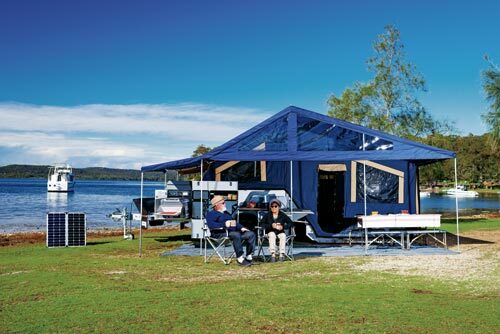 Our cover camper is the brand new, upgraded Complete Campsite Fraser XTE hardfloor camper, and we've got another 4 camper reviews including the MDC XT12-HR, the Mars Spirit Hammertone, the Bolwell Edge and the Taipan Pegasus. 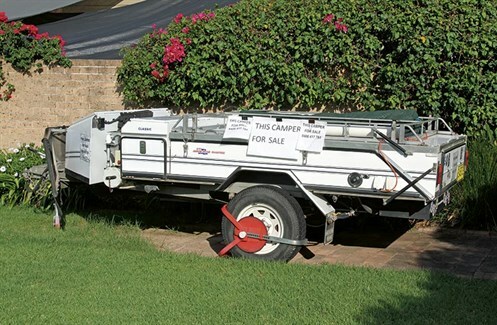 Planning to sell your camper trailer? Beware of online scammers! Read David Cook's first-hand account of when his camper ad was targeting by scammers. Add some upgrades to your tow vehicle with our Top 5 DIY Tow Vehicle Mods, and find out what to pack food-wise for when the chips are down. Borgy continues his Outback Odyssey with trips to Cordillo Downs, SA, and Innamincka, SA, while our other travel writers bring you great yarns from Lake Macquaries, NSW, Sundown NP, Qld, and Bladensburg NP, Qld.